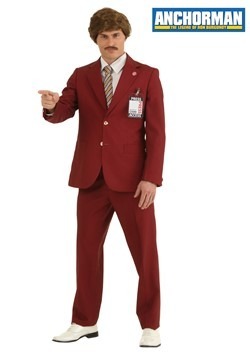 Create your comedy routine with one of our funny adult costumes. 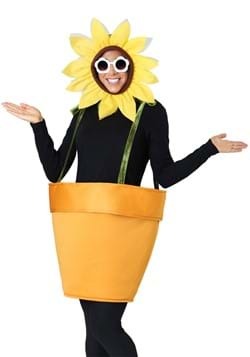 Whether you need funny costumes for women or men, with this large selection of funny costumes you are sure to find something unique for you next Halloween get together. Pair up with a friend to create a comedic duo or go solo to be the life of the party and light up the room on your own. 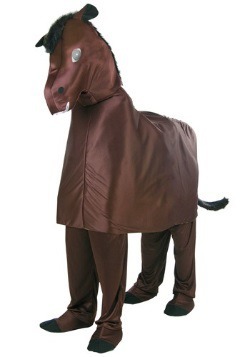 With one of our funny Halloween costumes you will be sure to amuse. 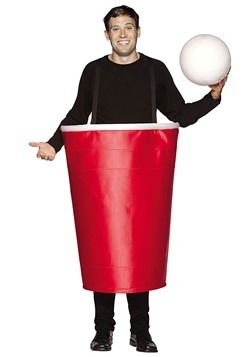 Our funny adult Halloween costumes are perfect for bringing laughter to any party! 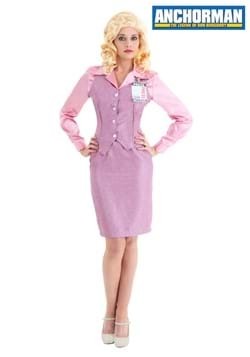 Find funny costumes for women and men based off of movies, TV shows, and pop culture. It’s Halloween. The night is full of howling and shrieking… with laughter that is. We’re all for scares and things that go bump in the night. We’re a Halloween company, after all. 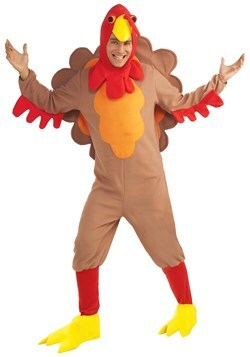 But in the end, funny costumes will always be the biggest hit of the holiday. 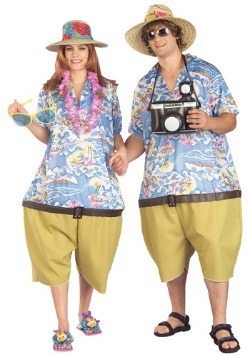 With all the hilarious movies, skits, and puns out there it’s easy to come up with funny couple costumes as well as gut-busting group affairs. If you scroll through this page, you’re sure to find plenty of funny looks to choose from. Anyone who appreciates a good laugh is in the right place. So whether you’re shopping just for you or a whole group of jokers (not the Batman character, that’s a whole different page. Come to think of it, the stages of the Joker is a great group costume idea though!) Halloween hilarity is sure to thank you for scrolling through. 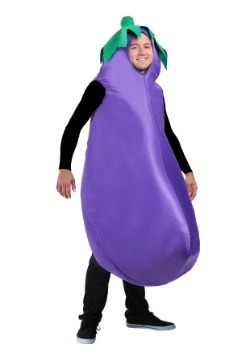 Ahh, the eggplant. 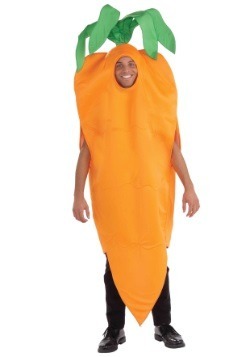 At one point in time, it was simply a veggie for children at the dinner table to refuse. Well, it’s certainly gotten a lot more spice in the last couple of years. Text this symbol to anyone and they’re sure to know you’re not talking about the farmer’s market. Unless you’re texting your mom. Then she’ll know you’re finally onboard to try her delicious eggplant parmesan. 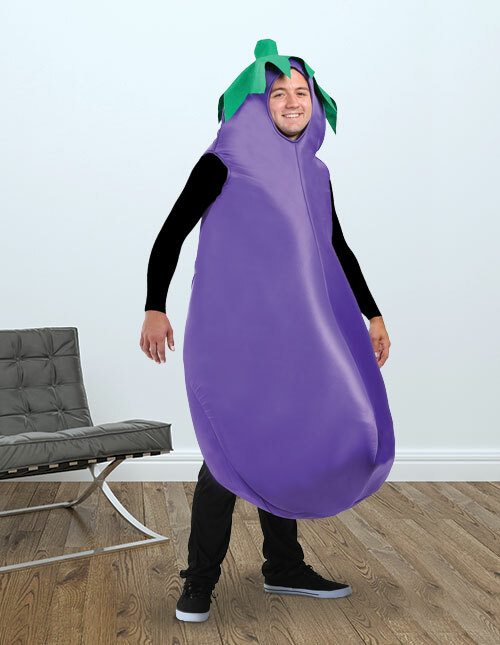 Pay tribute to the nutritious and newly famous nightshade vegetable with our exclusive eggplant costume. Whether you’re at a foodie festival or you’re keeping a wild Halloween party tasteful, folks are sure to dish about your look! 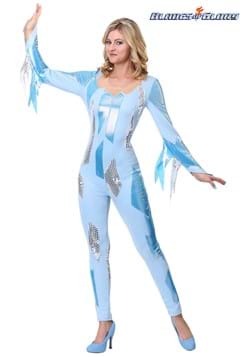 Do you want to head into your Halloween party with some dance moves built in? Get together with a friend and come up with a cheer routine. The Spartan cheerleader with her hilarious guy friend cheerleader partner allows you guys to pose, gossip loudly, and make an entrance that no one will forget. Want to invite more friends along? 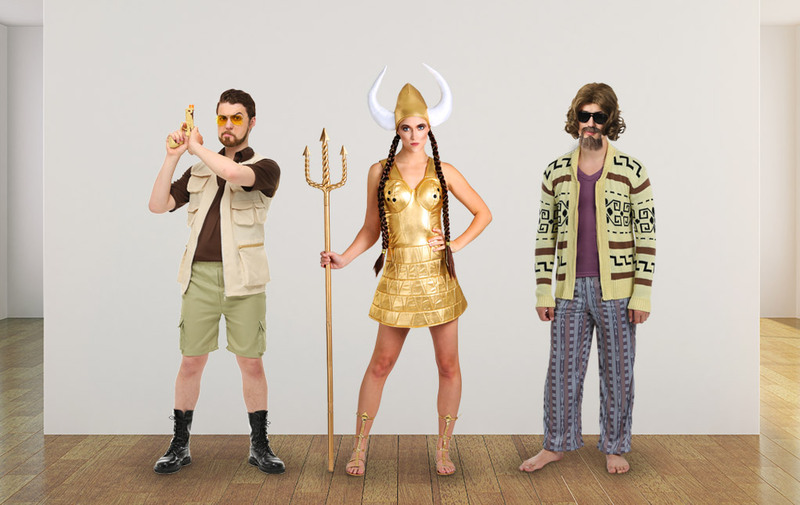 The more the merrier, simply add on more SNL costumes to really ramp up the hilarious atmosphere. Are you a quiet one? Do you have a lot to express yet nothing to say? 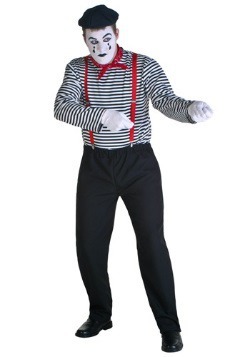 Then you’ll love going as a classic mime! 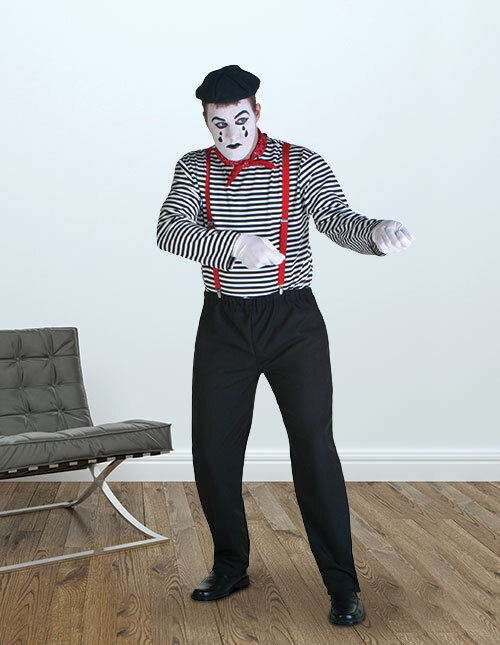 Dressing as a mime is one of the best funny easy Halloween costumes out there. The best part is, there’s no reason to come up with funny quotes or witticisms. 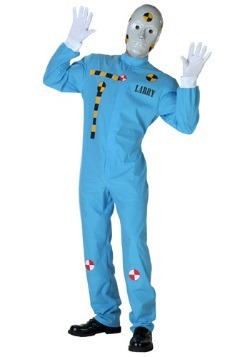 This costume is all about body language, now if only people would stop trapping you in a glass box. So rude! Finding true love or just a good friend is all about sharing a sense of humor. 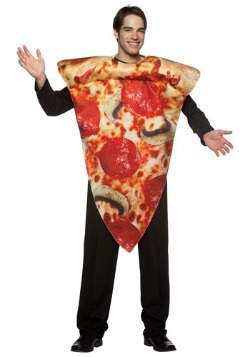 So of course, when it comes to Halloween, this is the time to flaunt the ways you guys get together. 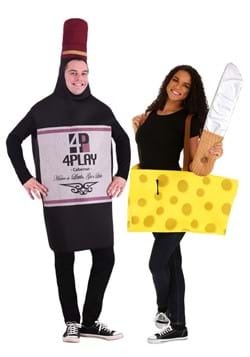 Every couple has so many options for their costume parties. 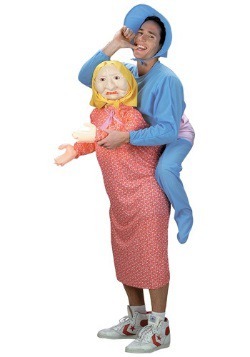 You and your partner can put together funny homemade costumes from your favorite television show, maybe some of our ridiculous animal costumes, or choose from the delectable options below. 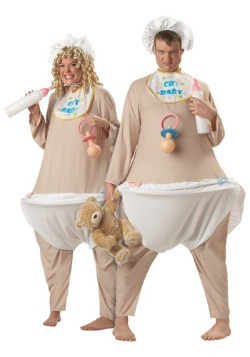 Hey, knee-slappin’ people like you have plenty of options for funny couples Halloween costumes. So, call your honey over and start browsing. This is going to be fun! Are you part of a couple with a lot of energy? 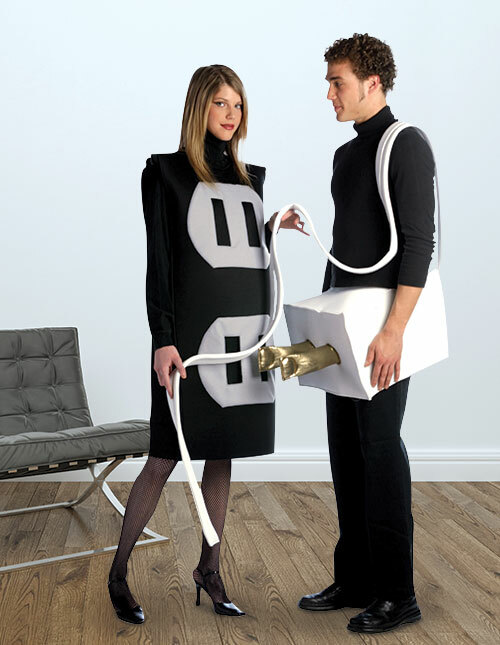 Show off your electric charge with this plug and socket costume. 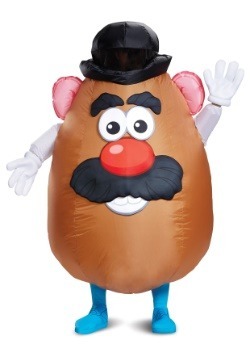 This is the perfect costume to get plenty of photo ops. Stage a dramatic shoot with all your electric appliances. Add even more comedy to your situation by spiking up your hair and making it look like you’ve both been shocked. 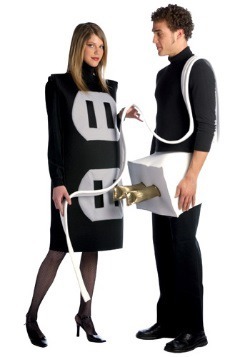 Pair up with your partner and put on this plug and socket number to make sure you’ll remember this Halloween for years to come. 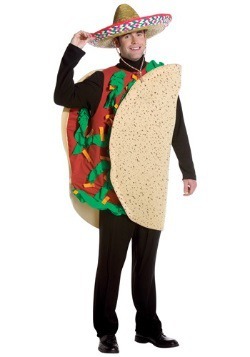 Want to make people laugh while making them hungry at the same time? 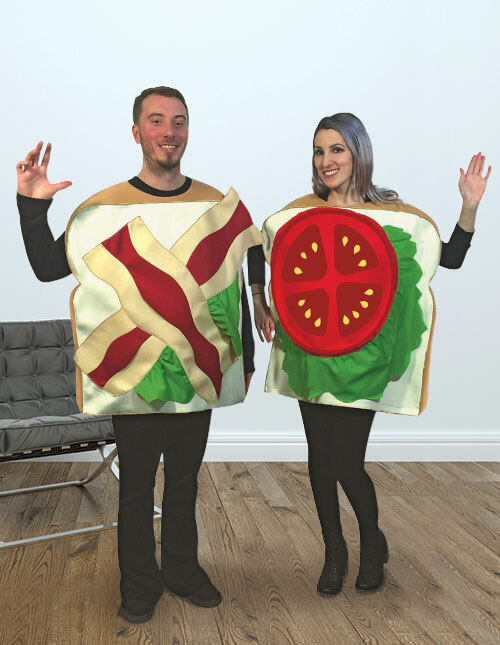 We imagine couples who wear this BLT costume will be inseparable all party long. The bacon, lettuce, and tomato on the foam pieces of bread will stand out and make people crave this summertime special. Piece together your look in a colorful way to show everyone that you and your partner are game. 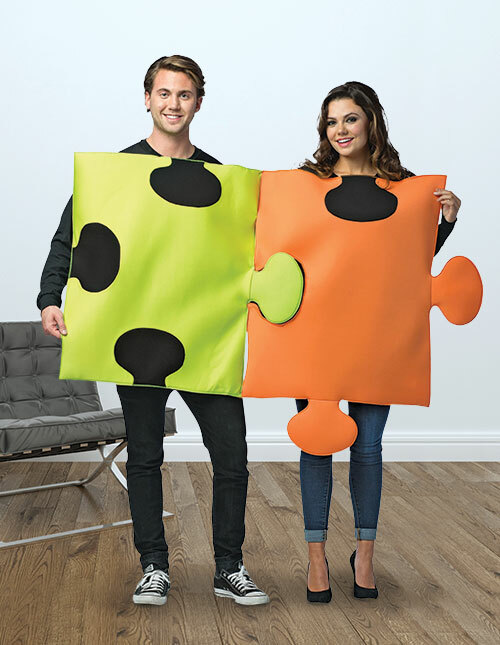 These pieces on this puzzle costume actually patch together so that you can stick close to your partner all night long if you so choose! 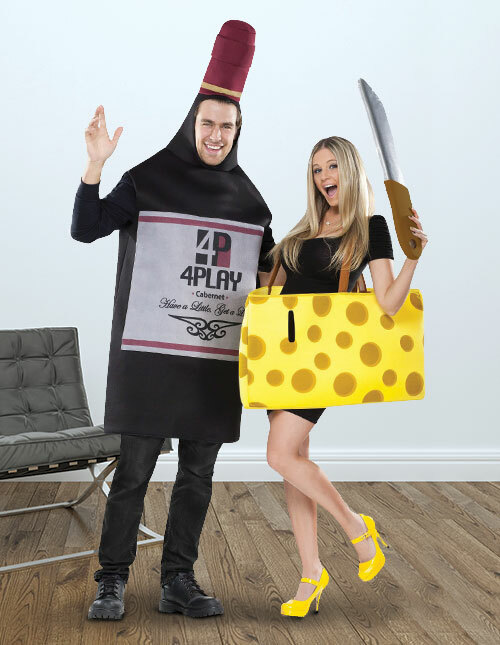 Fancy soirees are fun and all but wouldn’t it be great to show up as everyone’s favorite appetizer and beverage, wine and cheese? You classy folks are sure to rise to the upper crust of society with these looks. Do you have an “Allll-righty then” that blows people back to 1994 every time you lay it out? Does your Jack Black impression always get people howling? 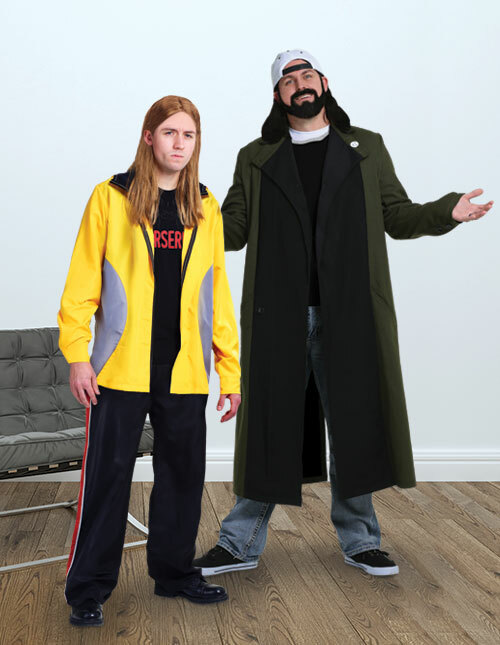 Maybe you’ve got a laidback vibe that instantly lends itself to Jay and Silent Bob. No matter where you’re coming from, movie characters will always be a hit. Why? 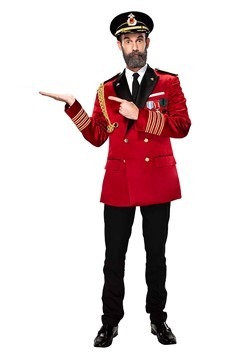 Simply because that interactive quotable magic is what makes so many Halloween costumes funny! Playwrights, costume designers, and directors created these characters so you might as well borrow some top-notch hilarious characters from the professionals. 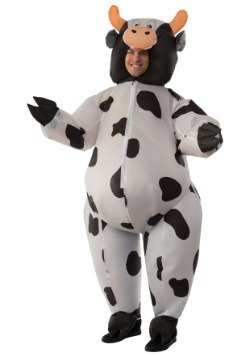 Ready for Halloween? You better be ‘cause you’re kind of a big deal. 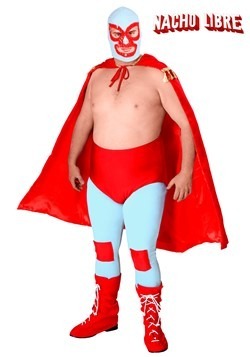 The heart of a monk with the spirit of a lucha libre, Nacho was a character made in comedy heaven. 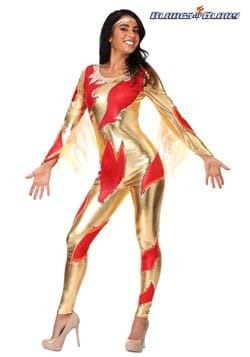 As soon as you throw on this bright and wild ensemble, you’ll find eagle powers come to you in an instant. 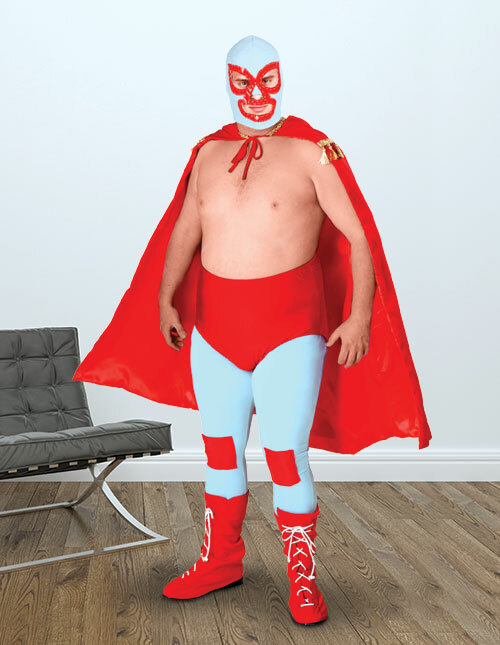 You’ll have a great time lunging and posing when you’re dressed up as Jack Black’s hilarious character, Nacho Libre. Pair up with your love interest, Sister Encarnacion for memories that are Hollywood worthy. Has any character been quoted more than Ace Ventura? People have been saying “all righty then” for decades without realizing they’re even doing it. 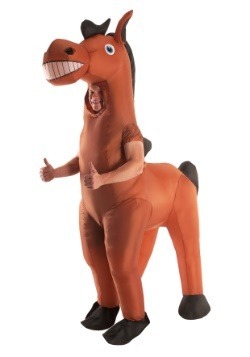 Want a great idea for funny group costumes? 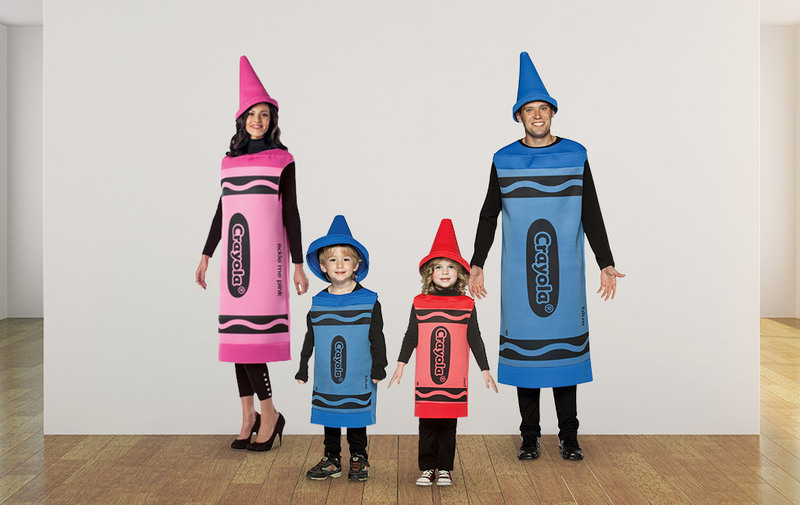 Get all your friends together and dress up as different Jim Carrey characters. Jenny can be the Grinch, Ed can dress up as Count Olaf. 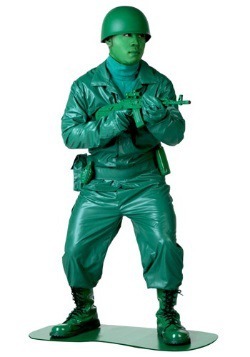 People will have to compete for the role of the Riddler. 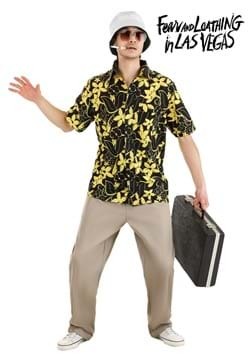 And of course, you and your besties can wear different Ace Ventura costumes. 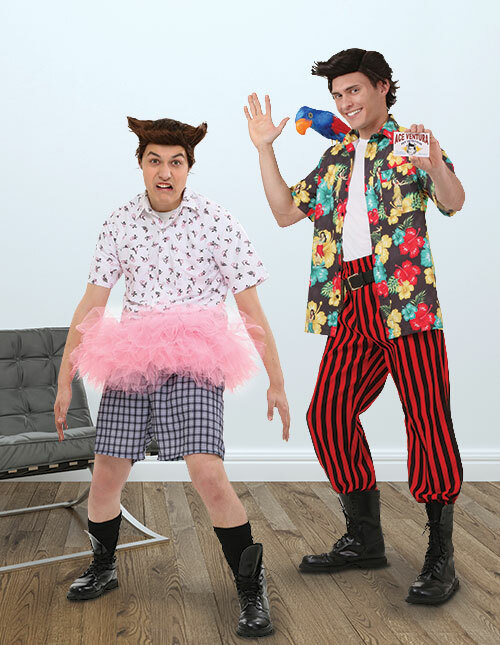 That Ace Ventura tutu costume is a classic! Your whole group will have a blast with the different characters, quoting the different movies and trying their best to pull Jim’s amazing faces. 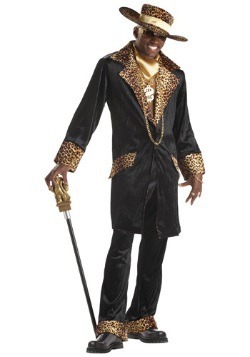 Or you could keep the fun all to yourself and dress up as the number one pet detective around. Sounds like a good time to us! Anchorman isn’t breaking news anymore. The Will Ferrell comedy has reached timeless classic level. Now it’s time for people like us to take the mantel. This movie is so perfectly quotable, we’re sure you have this in the bag. 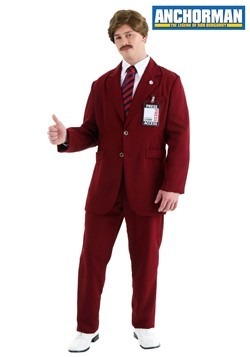 Break out your beautiful mustache and overly confident personality with the Ron Burgundy costume. And take good ol’ Ronny down a few notches with the Veronica Corningstone look. Pair it with a news microphone and you won’t be able to stop reporting on the events in the evening. 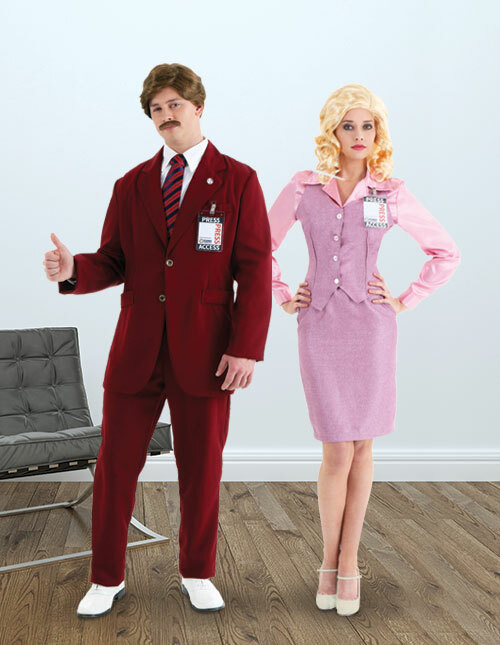 With costumes this good, it’s easy to stay classy even if you’re not in San Diego! 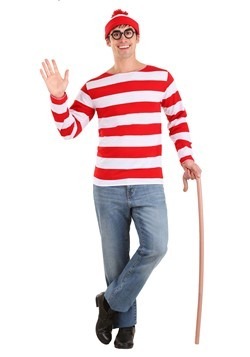 Want to get out there with an easily recognizable costume this Halloween? 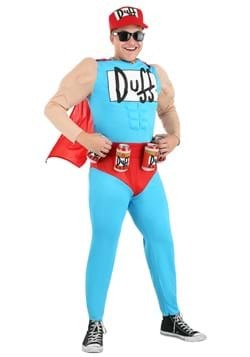 Funny adult Halloween costumes from television shows will go over well every single time! We have plenty of options, of course so don’t forget to scroll through the main page. Our favorites are right below, it was hard to choose but we’ll bet you’ll get a kick out of this selection! He’s a man of conviction. He’s a man of daring. A man with a sense of leadership. And man, can this guy pull off short shorts! 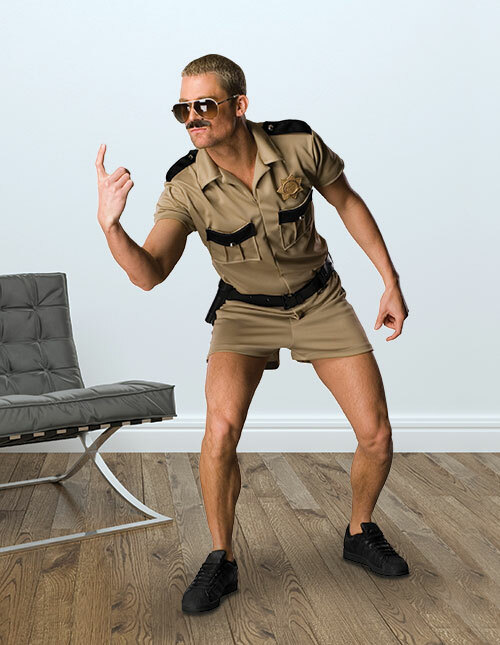 If you’re a fan of Reno 911 than you know that Lt. Dangle’s sense of style can add some laughs to any situation. 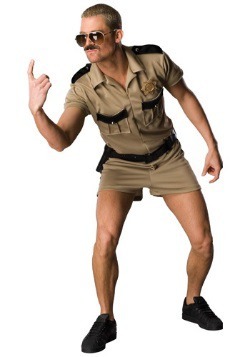 When it comes to funny men’s Halloween costumes, the Lt. Dangle costume is hard to beat. All you need is a brilliant mustache to make this look complete! 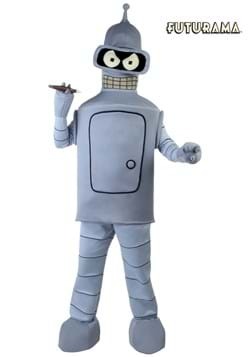 If you need license to take leave of normal human behavior and act a little more metal, this Bender costume is a great way to go! Want to bring some friends along to the Halloween party? 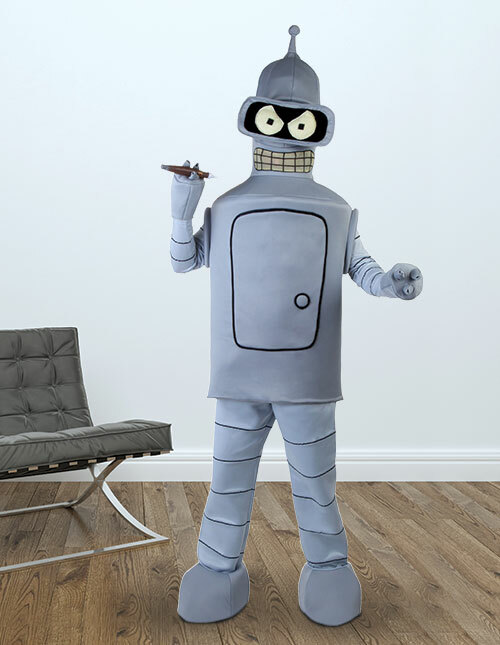 Check out our other Futurama costumes. 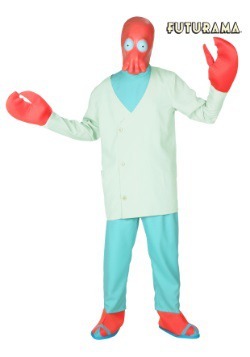 From Dr. Zoidberg to the innocent young human, Fry, you’re sure to find a look for everyone! 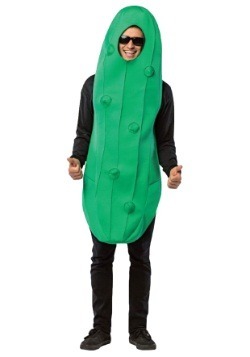 You know, it’s hard to dance in some costumes. Certain looks encourage simple bobbing and boring swaying. 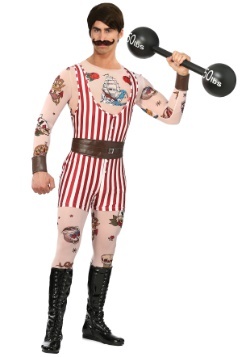 Not so with this awesome workout video star costume. 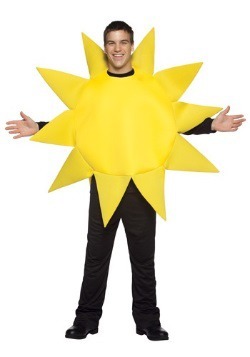 There’s no need to hold back when you’re wearing this video star costume. 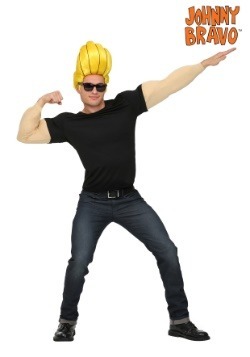 Pump those arms and kick those legs and you’re sure to cause enthusiasm throughout any costumed events. It's Always Sunny in Philadelphia has been a raucous favorite for almost a decade now. It’s hard to believe, right? 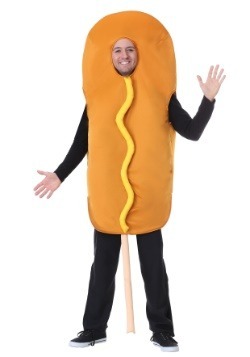 There are endless costume opportunities when it comes to hilarious costumes. 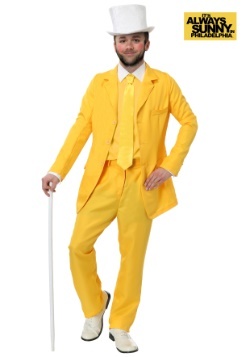 Vamp up a musical proposal with the Sunny Dayman suit. 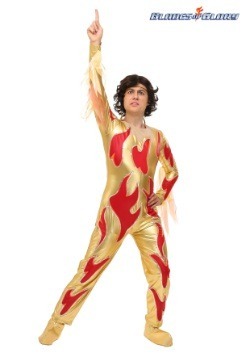 Keep the musical opportunities rolling with Dennis’s glam-rock look. If you’ve got a Dee in your friend group mix, no worries. You don’t have to stir up drama. She can throw on a Sweet Dee Princess costume. 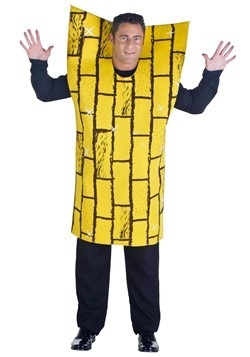 Once everyone gets together in their costumes it won’t be long until people start breaking into song. Honestly, is there anything more fun than getting together with a bunch of friends for Halloween? 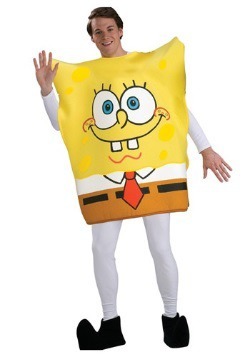 You already quote your favorite movies together, why not dress as your favorite characters as well? Selfies will look cooler than ever when you’re all on the same level. 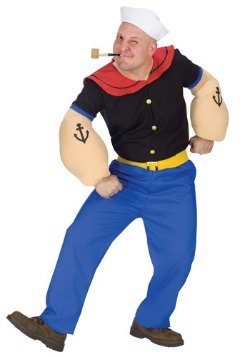 You can go with a movie theme or any other classic goofy character you can think of. Our suggestions below are top-notch and your group of friends are unique, so whatever weird idea you folks come up with, you’re sure to find elements in our collection. Now, don’t forget to check our accessories once you’ve put your ensemble together. Like our ideas? Send out some ideas to your buds and you’re sure to get a couple of bites. Just don’t forget to call out the character you want to be before you share your idea. You don’t want Todd claiming The Dude when you know that you’re perfect for the part! Situational comedy is the absolute best. Know what that means? The Big Lebowski is the absolute best. The Dude really gets thrown for a spin. And luckily for your entire group, all the characters are pretty much top-notch. Make sure your best friend is amped to be the aggressive yet weirdly sweet Walter. 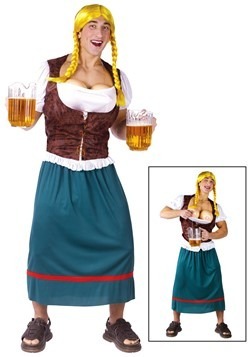 Make the group complete with the wild Maude Viking costume. 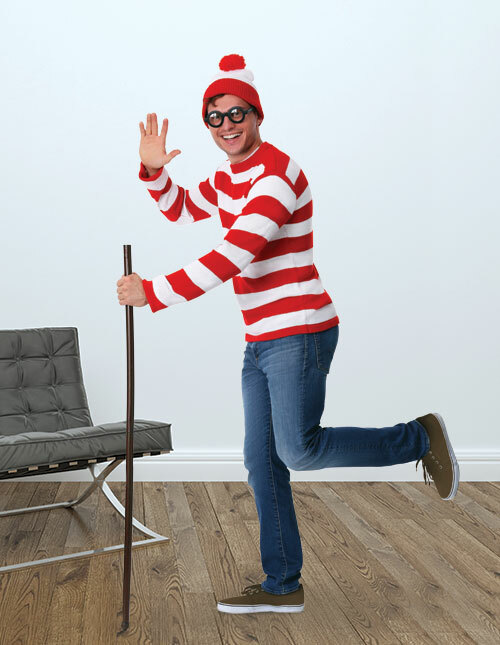 Whether you’re headed out to a Halloween party or you decide to go rug shopping in style, these costumes are sure to make life long memories! 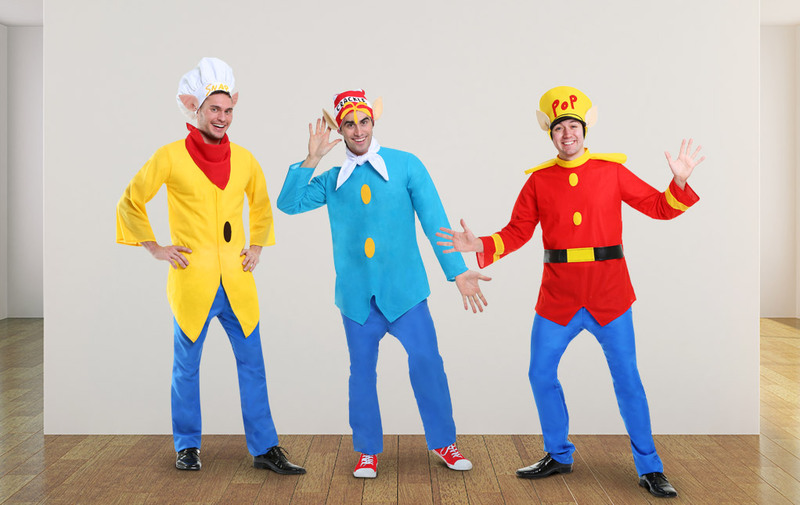 Put a little snap, crackle, and pop into your life with these classic characters from the land of childhood cereals. Each elf can have their own personality. Pop can become a hilarious dad joke-making character. Crackle can be a little bit mischievous, sometimes pouring a little chocolate milk into his morning bowl of puffed rice. And then there’s Snap, as in “oh Snap”. 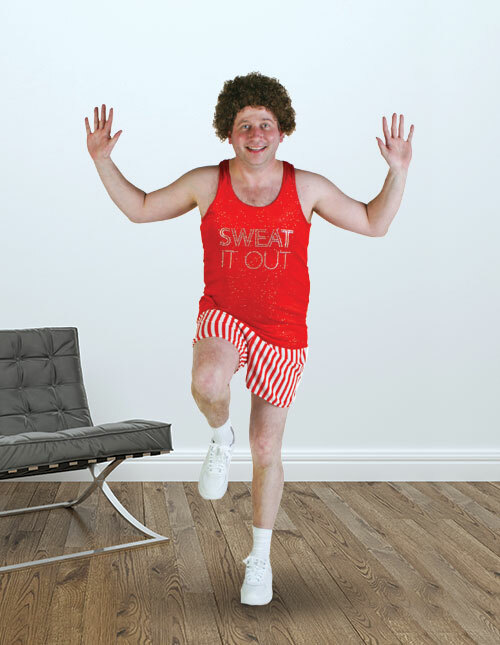 This cool fella has got all the dance moves and is sure to get the party started. 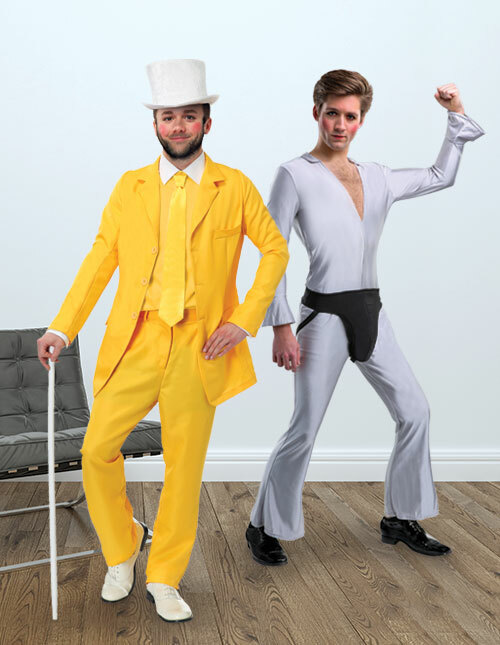 Perfect for groups, these costumes are sure to put everyone in a great move (especially if you bring delish Rice Krispies to the party)! 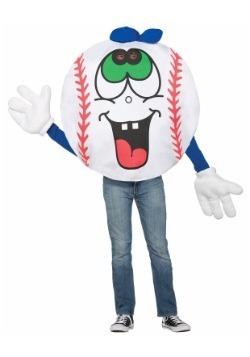 Here’s the thing, it can be hard to choose from funny kids costumes. There are only a few opportunities to dress them up per year. 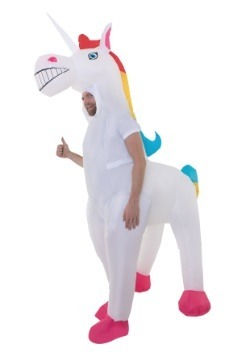 Our suggestion, as a Halloween costume company? Choose more than one. 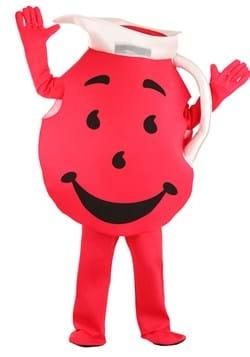 After all, there are always other themed events your kid can wear the costume, too. 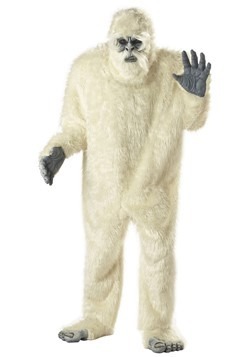 And having a gorilla suit in their closet is sure to inspire those at-home skits kids tend to put on. The looks below are a great place to start, especially if you want to bring the whole family trick-or-treating! Some of us are naturally nerds. How else would we be able to spout our knowledgeable knight and maiden descriptions? 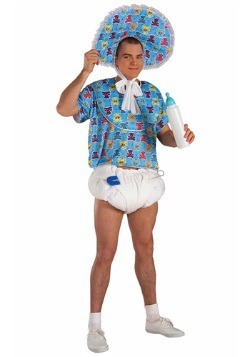 Here’s a tip: if you want your young child to be smart and sweet like a nerd, don’t choose the many other funny baby costumes that we have in our catalog. Make that baby a nerd! In fact, why don’t you make the entire family nerd-tastic? 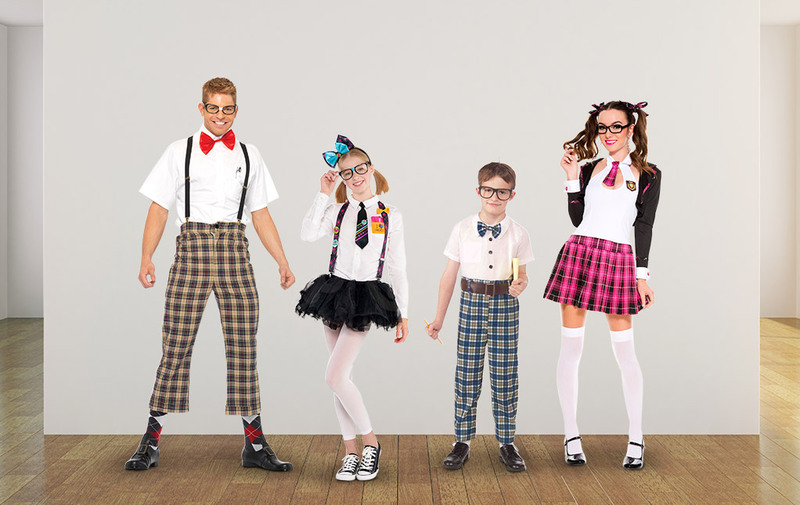 Most kids love our classic plaid nerd costume. Does your grade-schooler want a little panache to her nerddom? 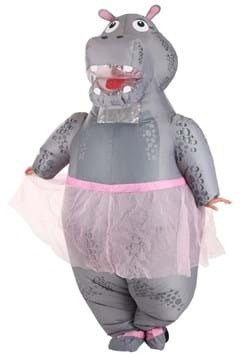 Then she’ll love the nerdy tutu costume. No worries, mom and dad don’t have to miss out. 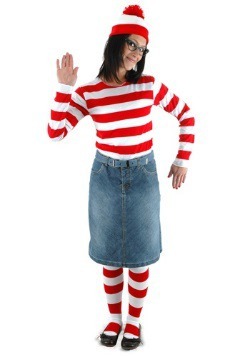 We’ve got a class nerd costume for mom so she can feel comfortable about going on and on about organizing her action figure collection. And of course, no looks are complete without the classic suspender look. 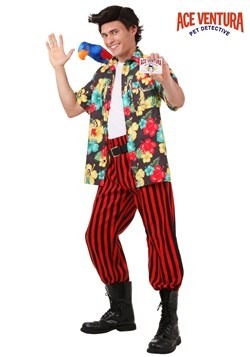 Dad will be glad to throw on the Nerdy Nerd costume to celebrate brains with the whole family!